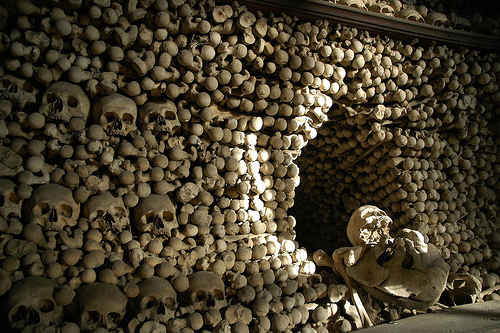 Dem bones, dem bones, dem…14th century bones of the wealthy. 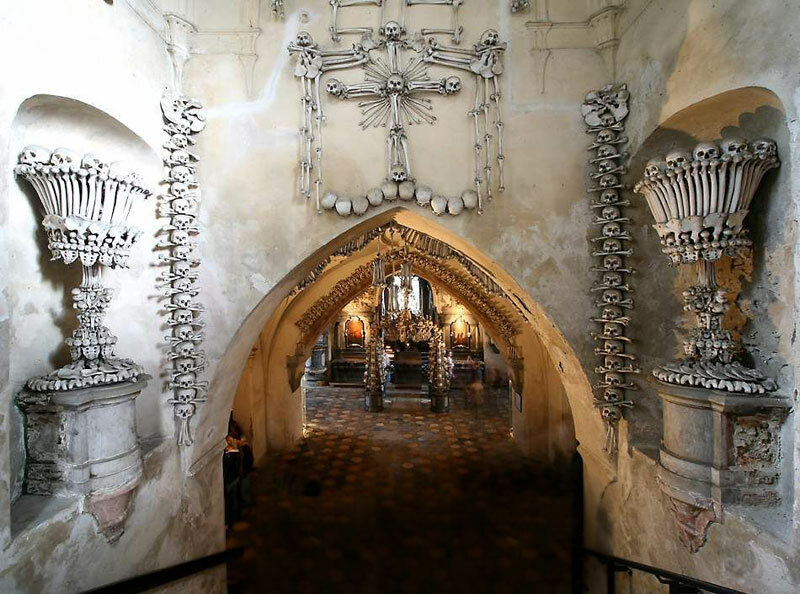 The Sedlec Ossuary in Kutná Hora, Czech Republic is a brilliant spot for the macabre-inclined tourist. When, in a brilliant marketing move, the church’s Abbot sprinkled earth from Golgotha around the cemetery, he created a famous cemetery that did not require Jim Morrison’s celeb cachet. The wealthy nobles of Bohemia clamoured to be buried in Sedlec Cemetery, and the demand massively overwhelmed the actual land resources – although admittedly, the plague did lend a helping hand. Most people might expect a church to start turning away the dead, switching on the No Vacancy sign. But not the resourceful holy men of Sedlec. No. 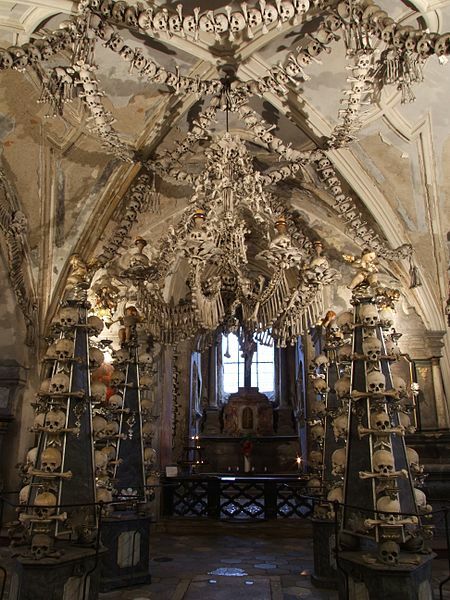 They just started digging up old remains and decorating the church with human bones. You know, as you do. 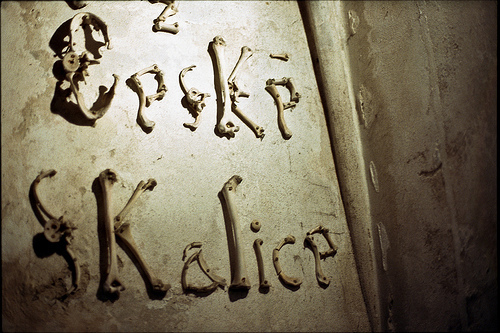 A Czech wood carver by the name of Master Rint is responsible for the current arrangement of the bones, and his name can be seen spelt out (in bones, obviously) within the chapel. Quite the artist’s signature. One of his more memorable creations – as if the creation of human remain home décor wasn’t enough – is the chandelier which contains every single bone found in a human body. If the Addams Family goes to church, I feel pretty confident I know where. 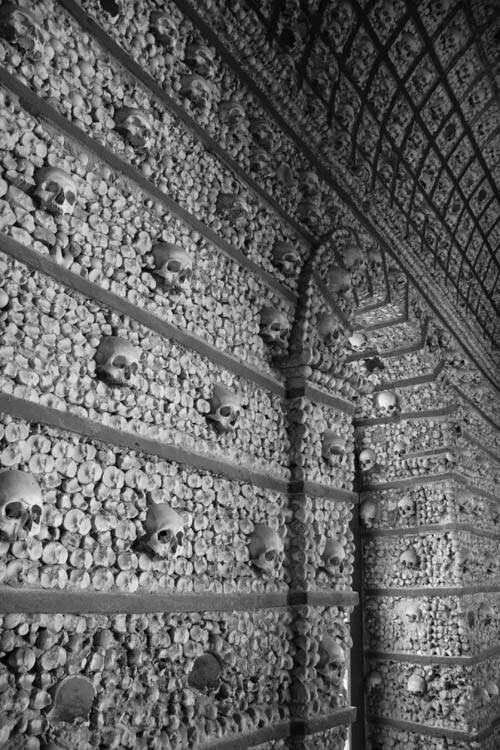 This church is bizarre, surreal, and a hell of a testament to human ingenuity. I can’t wait to see it in person. You aare so cool! I do not believe I have read a single thing likke this before. So good to discover another person with genuikne thoughts onn this subject matter. Really.. thank youu for starting this up. This web site is one thing that is needed on the internet, someone with a little originality!